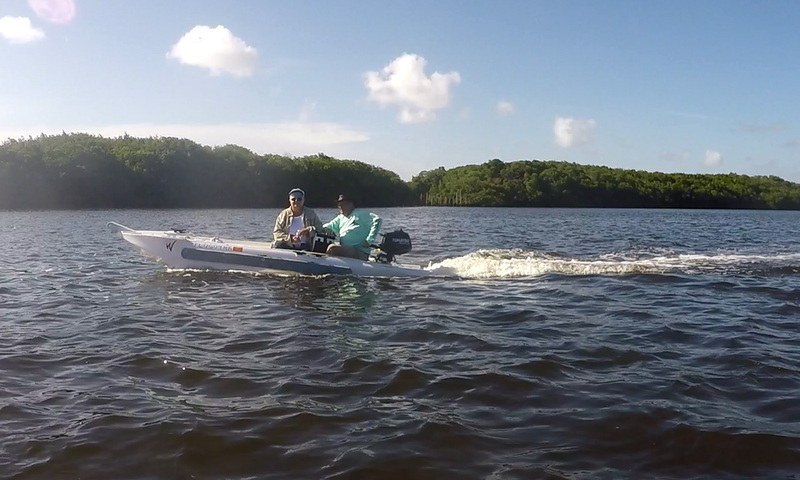 Yesterday, I did a delightful “Wavewalk Wednesday” motorized demo w/ 2 super nice people from Georgia, John and Peni. 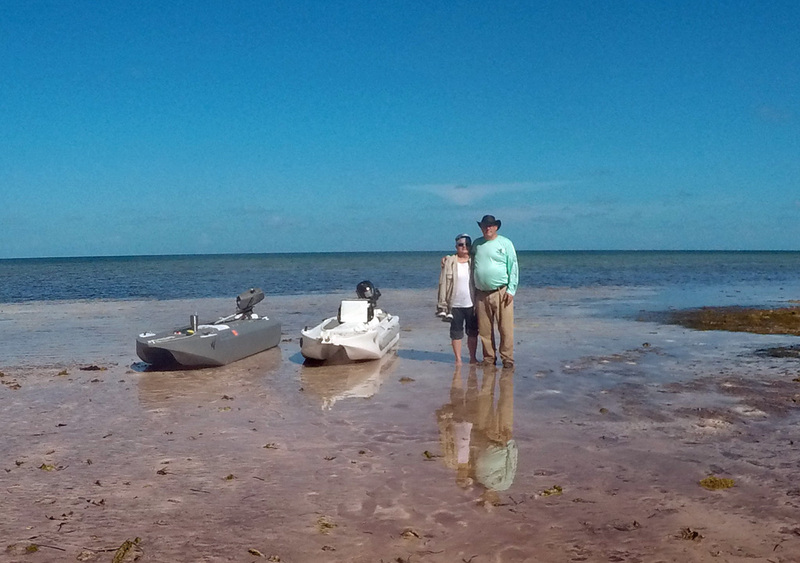 Two boats, with two people in each one, each boat had a 3.5 hp outboard, operating through extremely tight creeks and choppy open ocean, and no concern with tipping. 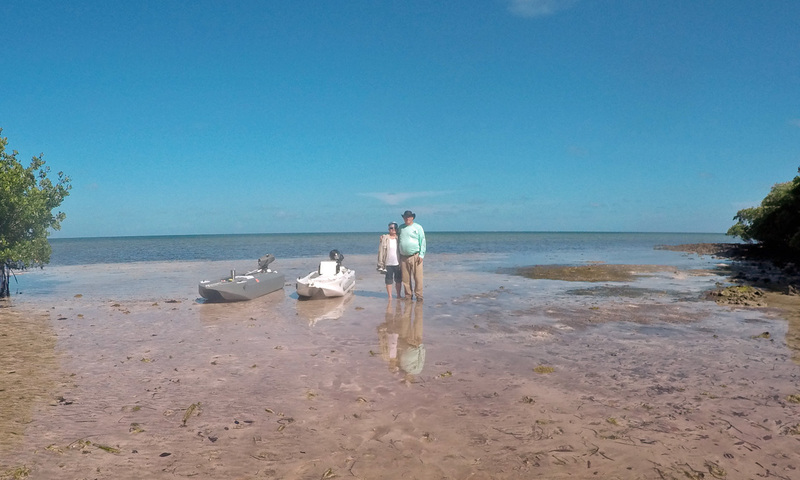 We plunged through the mangrove forest, stopped at the only natural sand beach on the Atlantic in Key Largo, circumnavigated Rattlesnake Key and, both boats ran out of fuel on the way home. But, I had more on board. We had a great afternoon.